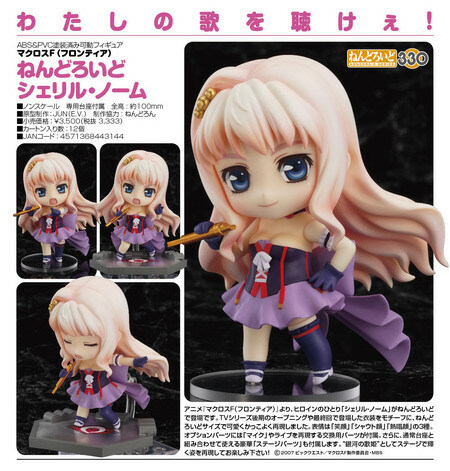 May 10th, 2013 By: GGT Category: 2013/09 release, Figure News. 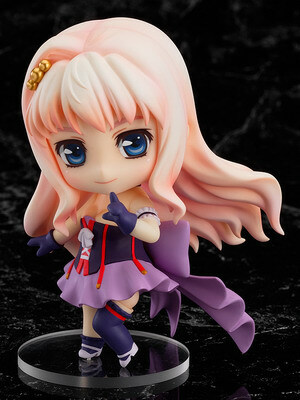 Good Smile Company is going to release the Nendoroid No.330 Sheryl Nome ( シェリル・ノーム ) action figure from the anime “Macross Frontier” ( マクロスF ＜フロンティア＞ ). Will be released in September 2013. 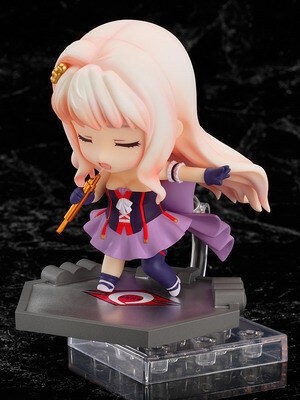 Around 100mm tall, 3,334 yen. 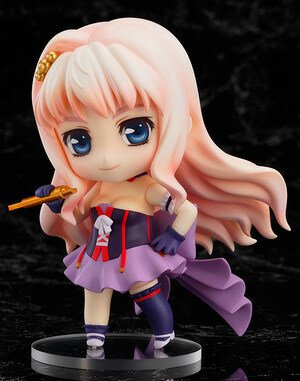 From the anime ‘Macross Frontier’ comes a Nendoroid of one of the heroines, Sheryl Nome! The outfit is based on the same one she wore in one of the opening themes as well as in the final episode of the anime! 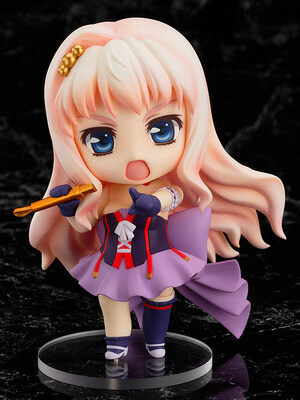 It’s just shrunk down to cute Nendoroid size! She comes with three different expressions including a smiling face, a shouting face and a singing face. She also comes with a number of optional parts to help reproduce her live performances, including some alternate arm and leg parts as well as her mike. 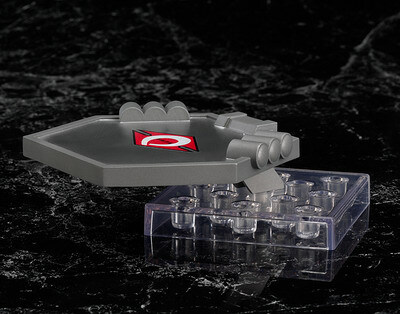 A special stage part is also included, which can be connected onto her standard base! 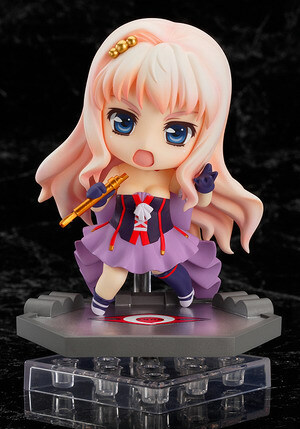 It’s time for the ‘Songstess of the Galaxy’ to shine on the Nendoroid stage!